This award goes to Mr Stephan Tomlinson, who’s the first person to be mentioned since the opening of our season by our patrons, who have visited the park. 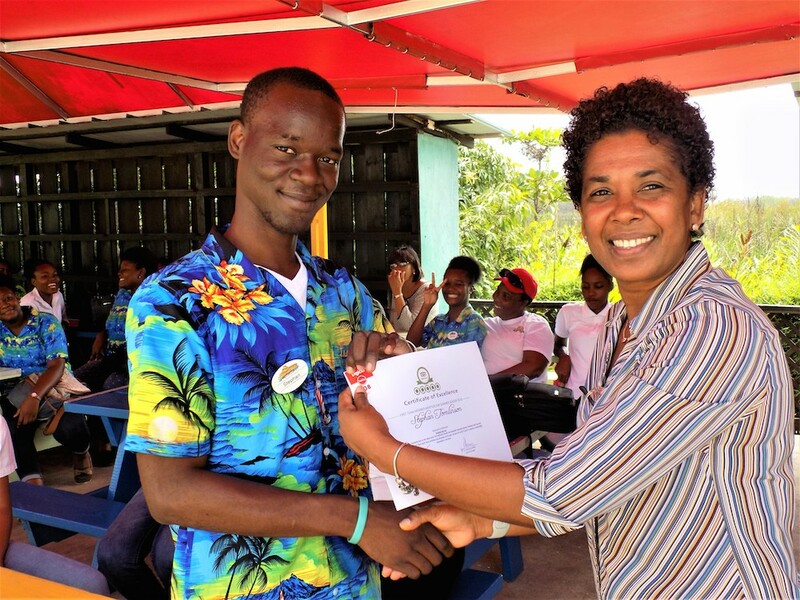 This award is part of our team members recognition initiative which in turn boosts overall moral and leads to continuous dedication to providing superior customer service.The Management and Operators of the Kool Runnings Adventure Park takes every opportunity where possible to praise and thank our team members. We believe that recognising effort and showing appreciation is second to none. Mr Stephan Tomlinson has worked with company for the past 2 1/2 years. While pursuing his studies in sports management, the opportunity at Kool Runnings presented itself and he said “why not”. He took a leap of faith since 2015 and has never looked back and enjoys every minute of his time at the park. An avid lover of track and field and of course everything sports. Stephan has mastered our Adventure Zone and its operations. He lends himself to help the customer service team when the need arises and is a true example of an exemplary team member going above and beyond the call of duty. WELL DONE STEPHAN AND THANK YOU FOR ALL YOU DO AT KOOL RUNNINGS!